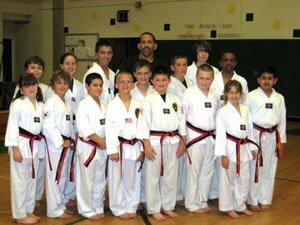 Gold Hawk Martial Arts Academy is an institution serving Southern Ocean County for over 20 plus years. Gold Hawk is known for being a premiere instructional source for authentic Taekwondo(TKD), Brazilian Jiu Jitsu(BJJ), Judo and Grappling. Gold Hawk has programs specifically designed for kids of all ages, adults and special needs. Gold Hawk also offers a strength and conditioning program for adults looking to get into extreme cardio/muscular shape. Gold Hawk is conveniently located right off route 9 in Little Egg Harbor. Less than five minutes away from the Garden State Parkway. Why trust Gold Hawk Martial Arts? Gold Hawk Martial Arts is headed by martial artist Master Antonucci. Master Antonucci has been involved with martial arts since he was a teenager with Grand Master Won Keun Bai. The extensive library of knowledge passed down to Master Antonucci throughout the years ensures that a student gets the best. Master Antonucci has developed a system rooted in Taekwondo that includes elements of jiu jitsu and judo. Master Antonucci not only teaches every class but he is still a student currently learning Brazilian Jiu Jitsu and Judo. You can trust that your martial arts training at Gold Hawk will be enjoyable, safe and highly technical. Mindset – Opening your mind to martial arts exercises the brain. The mindset developed through martial arts help in stressful real life situations. The ability to stay calm and focus on task at hand will gradually develop through out your martial arts training. Muscle Tone – Practicing martial arts will tone your entire body. You will slowly see your body transform with added muscles and fat loss. Martial arts training goes from moderate to intense giving your body a workout. Confidence – The ability to defend yourself from bodily harm is a confidence booster. Martial arts training not only gives you the ability to defend yourself but it also gives you the confidence to avoid dangerous situations. Discipline – The hardest part about martial arts training is showing up to every class. The discipline developed through martial arts carries out through many parts of your life. Ready to join the GOLD HAWK FAMILY? Click here for more information. 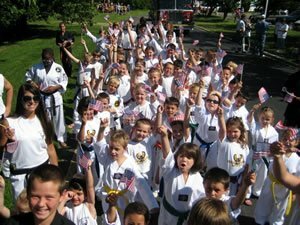 Gold Hawk Martial Arts serves Ocean County New Jersey, Tuckerton, Little Egg Harbor, Manahawkin, LBI, Barnegat, Waretown, Forked River, New Gretna, Port Republic and Galloway.